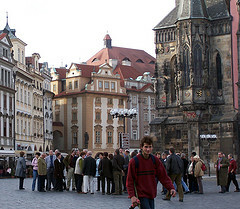 The Czech Republic offers alluring Old World charm. Beadventures continuosly is developing itineraries to new destinations in response to the suggestions we get, often from those that already have taken a trip or two and want to take another. In putting a trip together, we carefully plan how we can make it special. We're able to build on the passion our Beadventurers have for their art with the cultural experience of a fascinating destination--and add one of the nation's top teachers to the trip and you've got a travel experience that simply can't be beat. We know our trips aren't for everyone. Just those that share our passion, enjoy good company, and want to have fun. Isn't it time you join us? Find where you've always wanted to go from among our destinations.